I am a hot chocolate connoisseur. No mere packet of Swiss Miss is going to cut it for me. But when I am craving hot chocolate the last thing I feel like doing is getting in the car and driving somewhere. Hot coco is all about getting cozy under a blanket with a book. I refuse to change out of my PJs, get in a car, drive someplace, and wait in line. I want it NOW with minimal effort! Especially if it is cold outside. And at just under $3 a cup, Starbucks is a habit that can get pretty pricey. For the smallest size of Starbucks hot chocolate, I would be spending about $800 a year and consuming 360 extra calories a day. Yikes! So for the past year I have been on a mission to make the perfect cup of hot coco. And I have finally nailed it. Not only do I like it better than Starbucks, but it is lower in calories. Yeah baby! Warning: I like my hot coco rich, really, really, really rich. 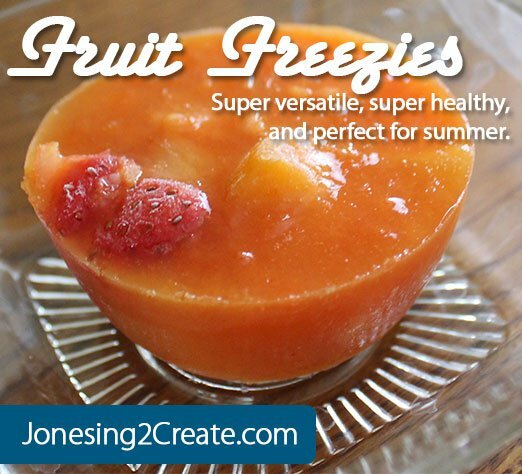 So if you like it mild, then you best move on because this recipe isn’t for you! Add the chocolate chips to the milk and stir until melted. Add the chocolate sauce to the milk and froth the milk. Don’t skip this step! It won’t taste the same! And frothing is actually crazy easy to do. Find your favorite quilt and snuggle down with a book! 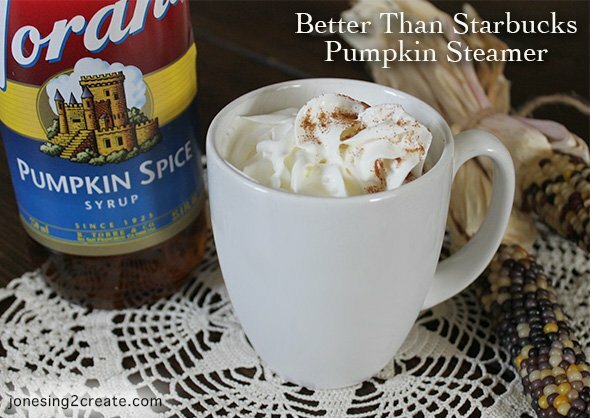 *Originally I was using Starbucks Mocha Powder 14oz ,which is not the same as their hot coco mix! 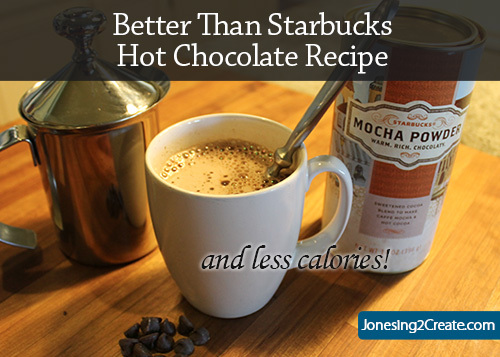 The hot coco mix doesn’t hold a candle to the mocha powder! But then I discovered Torani’s Dark Chocolate Sauce and have never looked back. I even use this stuff for making chocolate frosting and it is amazing! **Does it have to be Ghirardelli? Heck yes! If you don’t use Ghirardelli and it doesn’t turn out don’t come crying to me. But if you don’t like it quite so rich, you can use their milk chocolate or semi-sweet chips. I’ll just secretly make fun of you behind your back for being a chocolate whimp.